Progressive Slots are played in exactly the same way as any other online slot machine, but a progressive jackpot ticks up on each turn. A small amount of cash from each wager is added to progressive until it’s won. Many of the casino progressive jackpots can run into the hundred thousands of pounds, but millionaires have also been made thanks to big wins on progressives. There are a wide range of slots to choose from if you enjoy playing for big money. These include Jackpot Giant, Batman, Superman The Movie, Age Of The Gods, Millionaire Genie, Nightmare On Elm Street, Mega Moolah, Mega Fortune, Cleopatra Mega Jackpots, Wonderland and Deal Or No Deal. To win the jackpot will differ from game to game – some may even require that you max out your wager. Quite often the progressive will only be won if you activate a bonus round. New Players Only. Min deposit £20. 35x wagering reqs apply to Free Spins and Bonus Cash. 18+. begambleaware.org. New Players Only. 1 free spin for every £1 of first deposit up to 50. £10 min deposit + 2.5% fee (min 50p). 3-day expiry on Free Spins. Cash balance withdrawable at any time, £2.50 fee. Free spins available on selected games only 18+. begambleaware.org. New Players Only. UK & IRL only. Bonus wagering x35 on eligible games. Winnings from bonus capped at £500. Spins available after bonus is redeemed/lost. 10 per day with no wagering. 18+. begambleaware.org. New Players Only. 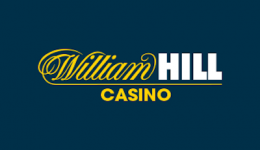 Min £10 deposit for 100% bonus up to £777. Withdrawal restrictions on bonus apply: wagering 40x (deposit+bonus amount). Wagering contribution varies by game. 18+. begambleaware.org. 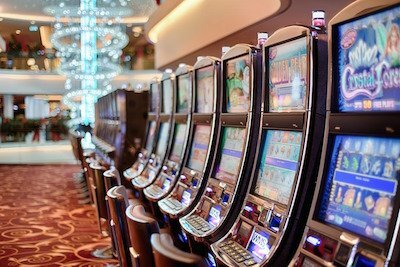 The frequency of progressive wins varies from slot to slot. Some can take months to fall whilst others can go into years. Some sites, such as William Hill Vegas, Gala Spins and Paddy Power Games host ‘Daily Jackpot’ slots. These slots have prizes that must fall once per day. When a progressive is won, the amount on offer will drop to a pre-determined level seeded by the casino or slots provider. Wagering terms and conditions apply. All details above were correct when published on January 1, 2018.